It came to me that I often revisit the artwork I see during my studio visits later down the line in different galleries. I would like to begin to catch up with some of these works in an installment titled PITS:UPDATE. 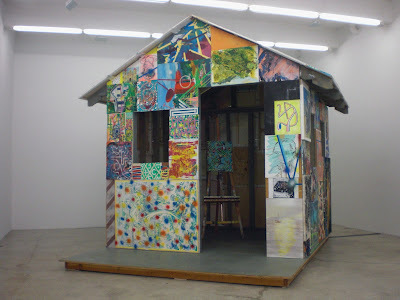 I stopped by Andy Cross' opening of House Painter at Martos Gallery on September 6th. A couple weeks later I swung by again to draw it. It is a bizarrely rich culmination of his paintings that he has assembled into a house. I saw him from time to time making the piece in his studio over the period of several months. It was quite different seeing it later -- illustriously floating in the gallery space. "How much art does an artist make in a year? Multiply this by the number of artists in the world today. What does the proliferation of art as a physical/material object mean? Art is in the studio, the gallery, homes, apartments, offices, lobbies, and hotels. Some art finds its way onto the walls of places we may consider important, such as museums. 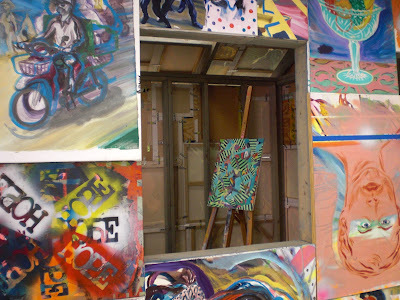 The fact of the matter is that the majority of art in the world sits in storage. Whether displayed, tucked away, and now digitized, all art occupies space. It is part of the consequence of creation, and it's not to be taken lightly". The show is up until October 6th. I encourage you to go see it. 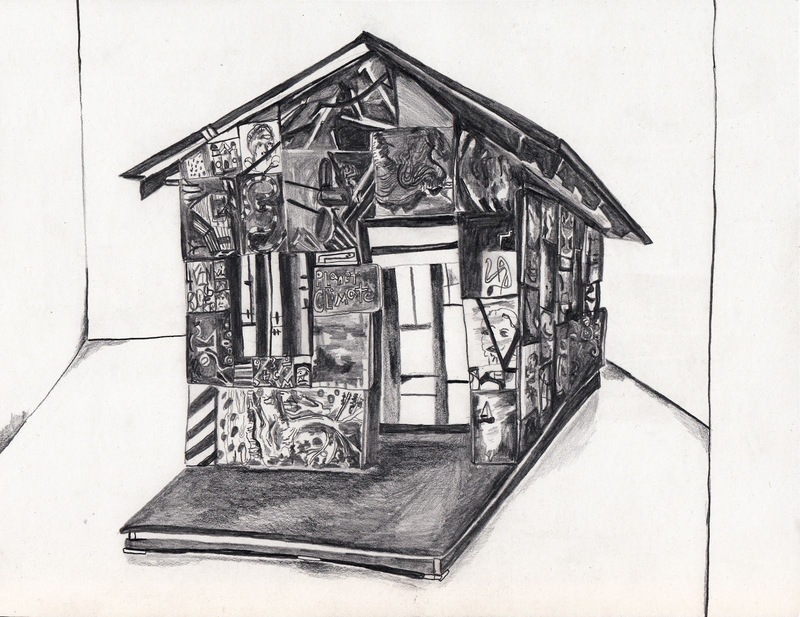 And stay tuned for some upcoming Fall Pencil in the Studio visits.